Looking to start or build your flock? Quebon has Corriedale and Moorit ram, ewe and wether lambs available for sale. Contact me to reserve your lambs and/or arrange a farm visit. 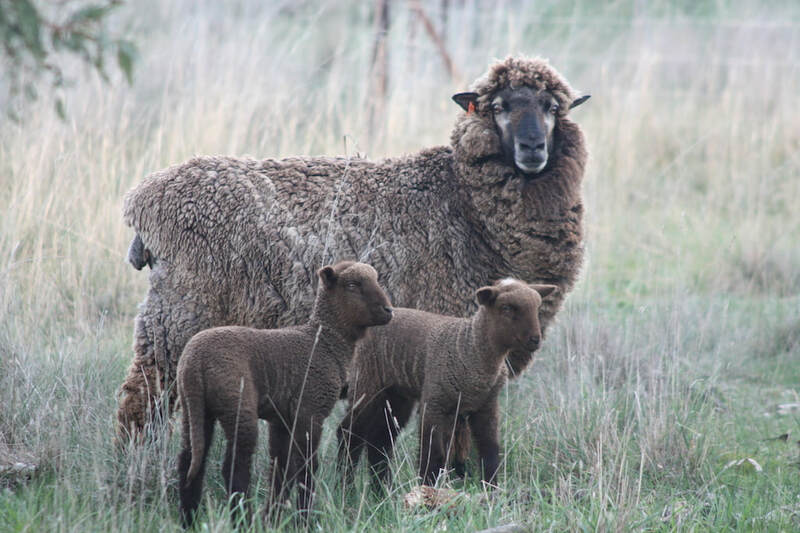 Corriedale Ewe "Adelaide" with Moorit twin ewe lambs "Fudge 1 & 2" 2013.